Do you want to be a change maker? Join the Science Fuse Fellows Program to transform learning environments and end educational inequality in Pakistan. Join us to reform educational practices for children in Pakistan. Together let’s do good the smart way. Science Fuse is a social enterprise working to change how STEM (Science, Technology, Engineering and Mathematics) education is perceived and communicated in Pakistan both inside and outside classrooms. We make learning and teaching science fun, hands-on and engaging through our interactive and informal STEM-learning programs for young learners. We believe that if children especially those from underprivileged backgrounds get a chance to experience hands-on science learning, our world would be in a much better shape. If these children develop a passion for learning in something they care about then they would be less likely to drop out of school. And staying in school gives them a chance to better the world. The Science Fuse Fellowship is a hands-on, interactive program designed to help young science and education enthusiasts develop effective communication and leadership skills with a cohort of like-minded peers and experienced facilitators. During the course of this fellowship, our fellows will not only develop a skill-set for effective science communication but also build a network that is supportive, engaging, and creative. As a Science Fuse fellow you would get an opportunity to communicate with children from diverse backgrounds to ignite their curiosity in science. You will understand how people learn in different ways, and how using strong communication skills, enthusiastic personality and dramatic flair you can bring science alive both inside and outside classrooms. You’ll get an opportunity to step into public, charitable and private schools in your local community to transform educational practices in Pakistan. 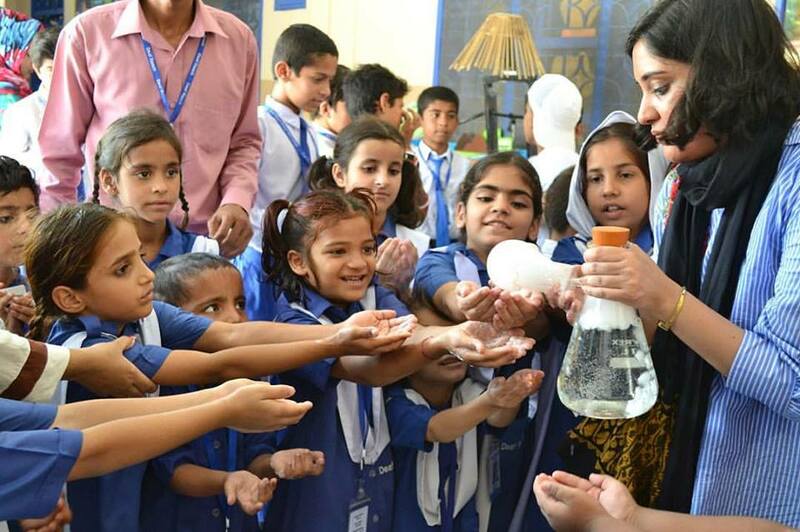 As a fellow you’ll be supporting children’s lifelong learning and nurturing the future scientists, innovators and problem-solvers of Pakistan. Science Fuse Fellows will make a commitment to complete all the training seminars as well as work on a minimum of eight workshops or public engagement events during the course of the fellowship. You should apply if you’re passionate about creating social impact through education. You don’t need a background in science to apply. We don’t expect you to know all the science in the world you only need to be willing to learn. But we’ll love you more if you’re a science enthusiast! Please submit your details by going at the below Google form link. For other questions please email us at info@sciencefuse.com or lalah_rukh@hotmail.com. Alternatively call us at 0321 128 8701 or 0300 9494 922. Feel the tingling in your fingertips? Thats the magnetic urge to contact us. We are here to answer any questions you may have about Science Fuse. Reach out to us and we'll respond as soon as we can. Science Fuse is a social enterprise working to promote science education among young learners. Our goal is to make science research an equally viable choice for youngsters to pursue in leisure time as is perhaps indulging in sports, music and arts. To this end we offer young students a unique opportunity to learn science by ‘doing’ at our summer camps, extracurricular science workshops and after-school science clubs.